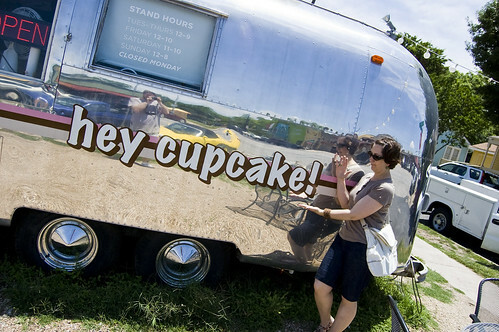 Back in May 2010 we were in Austin, Texas and you can’t go to Austin, Texas without making a stop at Hey Cupcake! So here we are at Hey Cupcake! And I say “we” because I’m in the photo as well… hooray for reflective surfaces!